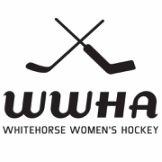 WWHA is hosting drop-in hockey Tuesday evenings (8:45-10pm) at the CGC ATCO arena from March 15 - April 12, 2016. You must register to play. Registration Deadline: Friday March 11th. If we do not have enough interest, drop-in will be cancelled. Women 18 years and older only. You must have CARHA Insurance to play. A drop-in fee of $5 fee will be collected on the evening of play. There will be a referee, but no timekeeper. WWHA league rules will apply. Bring a light and dark jersey. You need a Teamer account. A Teamer notification will go out the day before (Monday). The first 30 skaters to respond can play. Unfortunately, Teamer does not stop accepting players after 30. If you are skater #31 to respond, you must decline. If you have accepted a spot (i.e., you are one of the first 30 skaters to respond) and your plans change, you must update your status on Teamer as soon as possible so that someone else has the opportunity to take your spot. Please be responsible. If we do not have enough interest, drop-in will be cancelled.